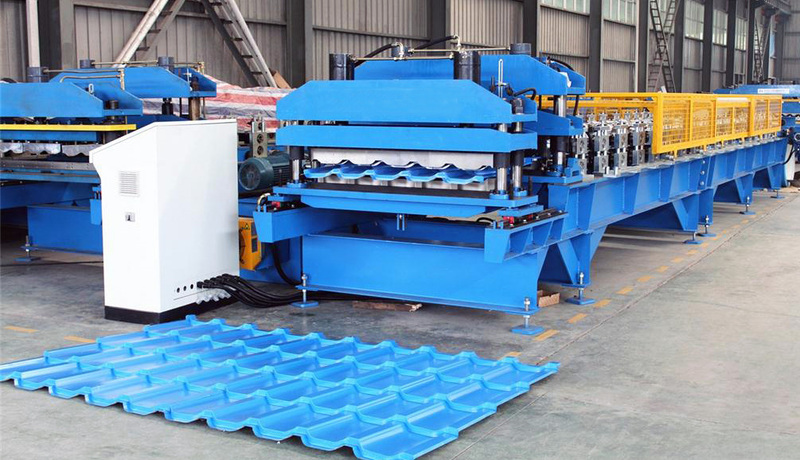 Glazed tile roll forming machine can produce different shapes of glazed tile roof sheets in various thickness and colors. Compared with traditional ceramic tiles, it is much popular because of their economic cost, light weight, short building period; re-cycle use, and elegant appearance. 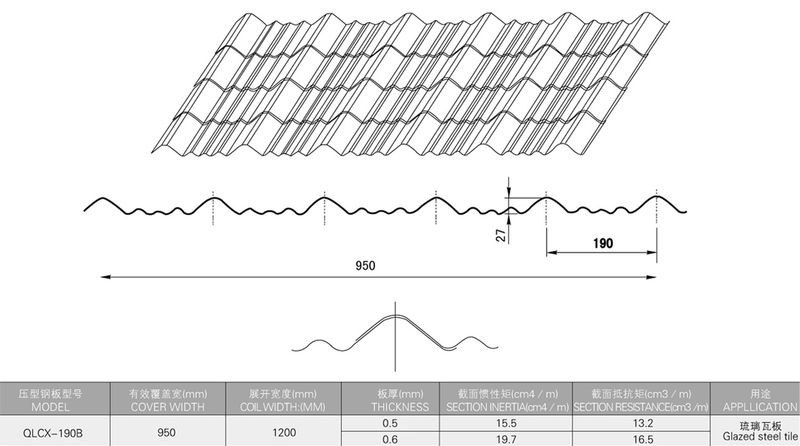 It can be used as the roof of villas, luxury houses, theaters, exhibition centers, etc.